Doing well at this competition has been a goal of Kyra’s for as long as she can remember, however, this year wasn’t her year and she finished 7th place, unfortunately one spot out of the final. This competition was the first national competition of the year and was the first way to qualify for the USA National Team. Kyra finished the competition in 1st place by winning the bouldering and sport round and coming in 3rd in speed. She also secured the 1st spot on the USA National Team to compete at the 2019 World Cups. After a small break from competitions after the Pan American Championships, Kyra was able to take 1st place in the final stop of the National Cup circuit. This one was extra special for her because her family in Colorado all came to the gym to cheer her on during the finals! After five days of competition, Kyra was able to take 1st place in the Combined Final event (in the olympic format). Kyra also ended speed climbing in 5th place, sport climbing in 4th place, and bouldering in 6th place. The competition at the Momentum Climbing and Fitness Silver Street was the third stop of the 2018 National Cup Circuit. Kyra took 1st place in the finals round after being the only woman to top the 3rd boulder. This was the first ever professional climbing competition to take place in Kyra’s hometown hosted by the Minneapolis Bouldering Project. After a tough finals round that left everyone sore, Kyra ended the competition in 4th place. The 2nd stop of the National Cup series took place at Mesa Rim in San Diego. After a good qualifying round, Kyra had a rough time in finals and ended the competition in 8th place. After returning from a month in Europe for the World Championships, Kyra traveled to Montreal to compete in her first pro competition in Canada. Kyra was able to take 1st place after an exciting finals round in front of the stoked crowd. This was Kyra’s first time competing in the Porsche Arena in Stuttgart and the experience did not disappoint. Even though Kyra ended up one spot out of finals in 7th place, she was happy with her performance there. 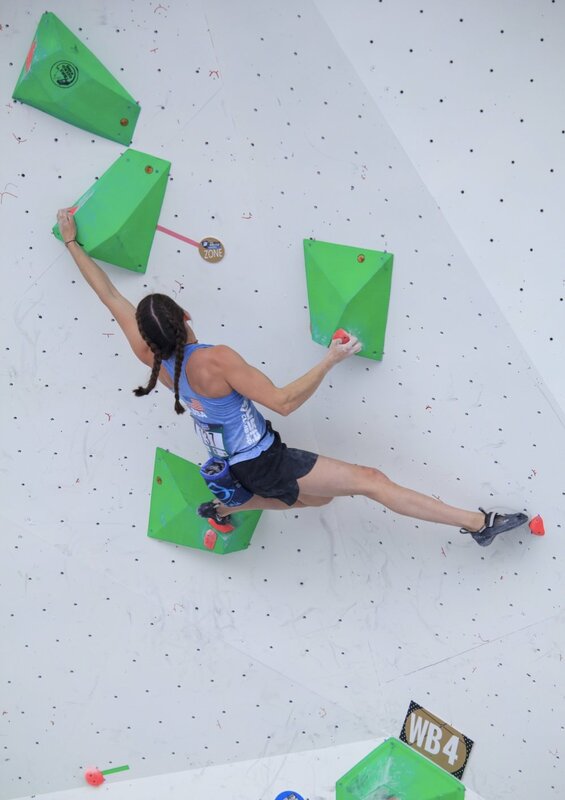 After spending a few weeks in South Africa climbing outside in the Rocklands, Kyra went to train in Innsbruck leading up to the competition. Kyra ended up finishing in 26th place in bouldering, 32nd place in lead, and 34th place in speed. These results, though not her best, landed her a top 20 finish (14th place) in the Combined results. Finally back in the USA after traveling in Asia for the World Cup Circuit, Kyra made her second ever World Cup Final and finished in 5th place, her best placement ever and her best of the whole 2018 season. After a couple week break between competitions spent training in Tokyo, Japan, Kyra finished in 14th place after advancing to the semifinal round. Kyra finished this World Cup by making her first ever World Cup Final and placing in 6th place! This was her best finish in a World Cup to date. This was the first World Cup of the 2018 season for Kyra and she ended up finishing in 21st place, one spot out from advancing into the semifinal round. 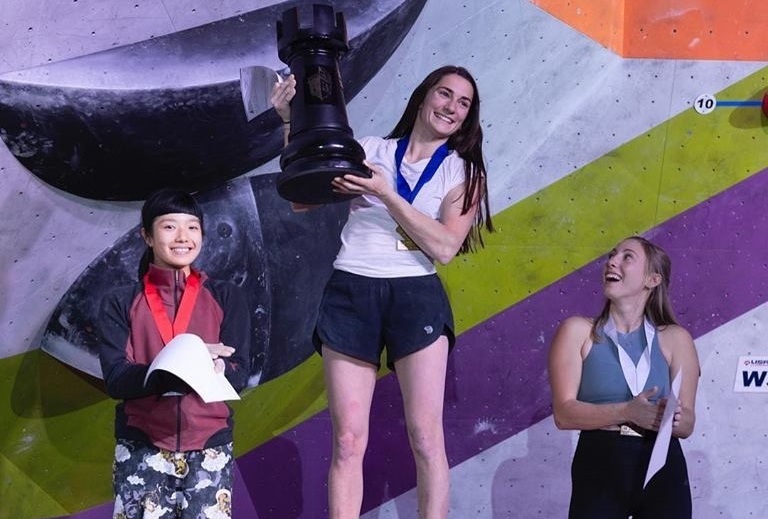 After practicing her deep water soloing in Vietnam on a trip with Mountain Hardwear, Kyra took 1st place in front of the crowd in Charlotte at the USNWC. Kyra finished the 2018 Sport and Speed nationals with a 4th place in speed climbing and a 7th place in sport climbing, after a misread of the finals climb. Both placements earned her a spot on the 2018 USA team for the world cup season. 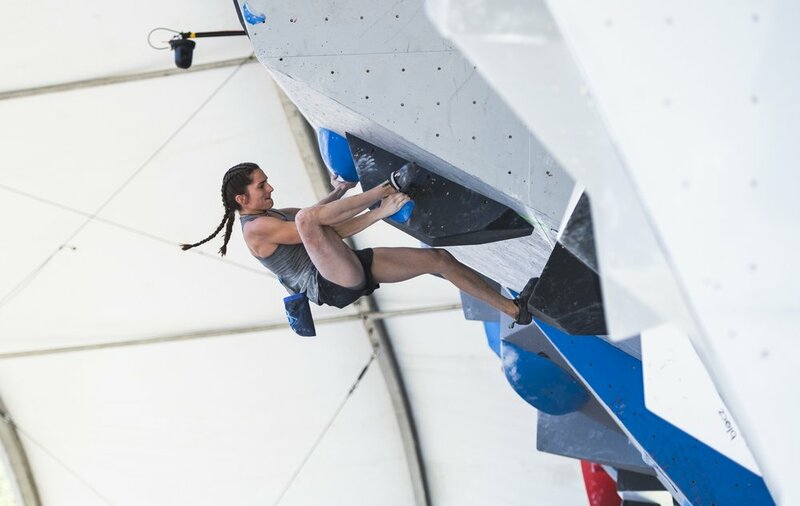 After a hard time in the semifinal round of the competition, Kyra ended the 2018 bouldering nationals in a heartbreaking 7th place, one place out of participating in the final round. Due to international byes, Kyra still made the USA team by being one of the top 9 competitors at this competition.